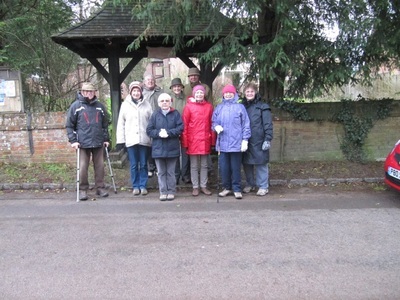 This was the strolling group’s first outing of 2015. 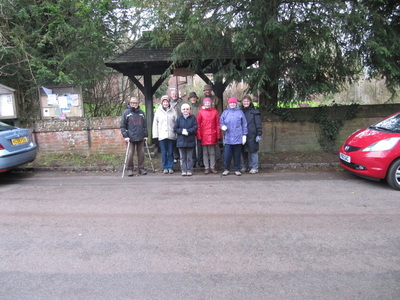 Despite the unsettled weather 10 members of the strolling group turned out to stroll along Buckland Road to the canal and back. The sun had shone all morning and it was not bad when we set out on our stroll. However, we had just got beyond the shelter of the housing when a squall came along that contained not just rain but hail that stung the cheeks. Since we could not see the end of the squall the members decided it was wiser to turn around and return to our cars. As always by the time we got back to our starting point the rain had stopped. Still we had completed our health advisory 20 min brisk walk for the day! !